This was the first issue since the 1980s to appear in print, as well as online. 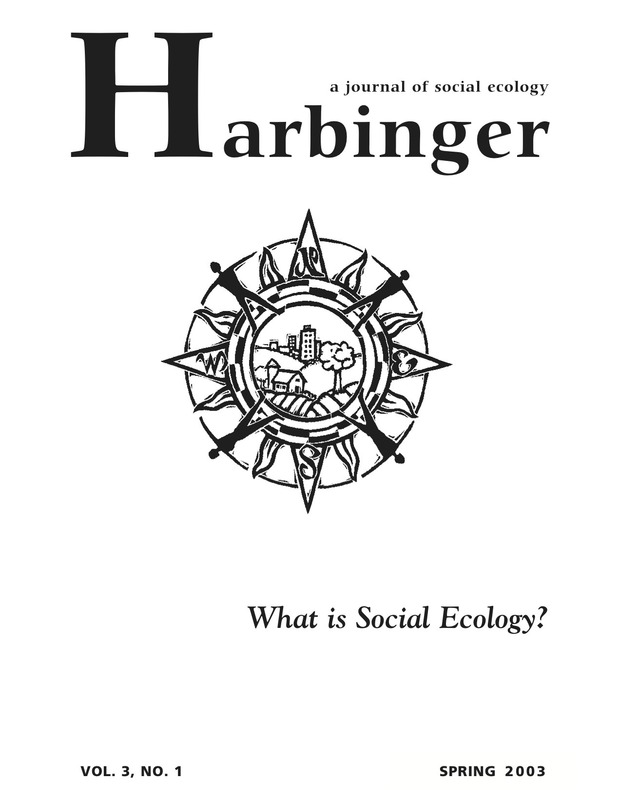 The table of contents is here; full text of articles are linked from the “Social Ecology Journals” page. To download a full pdf of this issue, click here. 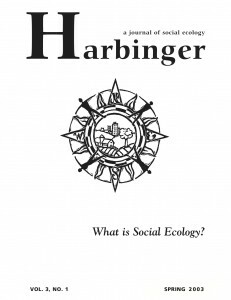 The Institute For Social Ecology has published several issues of Harbinger, A Journal of Social Ecology. 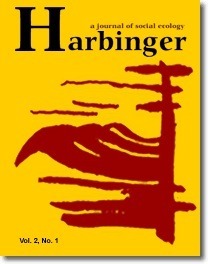 This was our first issue (online only) since the original Harbinger journal of the 1980s. Table of contents is here; scroll to page 2 below for articles. In August 2002, thirty anti-authoritarian organizers from around the US converged on a farm in upstate New York to found a new political confederation: the Alliance for Freedom and Direct Democracy. This article describes their mission and rationale.